A Ugandan maid shares her story of survival in Oman. When Irene Nabbanja left her workplace and demanded to return home because of unfavorable working conditions, her recruitment agent ‘Salim’, punished her by locking her up in a room. When she tried to escape, she fell from the fourth floor and severely injured her spinal cord. 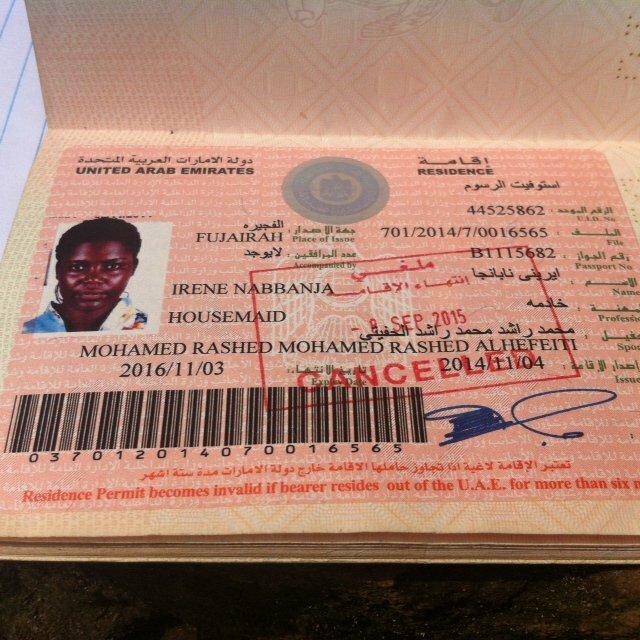 Irene first was taken to UAE, and then to Oman in November 2015 by the same agent. In Oman, she had complained of a heavy workload, which included taking care of an elderly woman alongside seven little children day and night. When she escaped to her agent’s office demanding to return home, he confined her to a locked room on the fourth floor, together with six other Ugandan girls who had also complained about their working conditions. The girls were beaten, poorly fed and even stripped naked by the agent throughout their confinement. 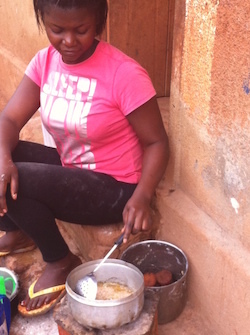 As a new detainee, Irene was supposed to sleep in the kitchen, where they kept a gas cooker. That fateful evening, the man had not shut off the cooker, suffocating her throughout the night. Irene is recovering in Uganda. “I passed my head through one of the holes near the window to call for help from someone I had seen outside the building, somehow I slid and fell from the fourth floor," she said. She was carried to the hospital by the police. She broke her spinal cord and fractured both of her legs. The doctors asked the recruitment agent to buy her a corset, which she needed to wear until her operation. The agent promised the doctors that he would send her to Uganda after the operation, but he instead took her back to his house even though she could only pass urine through a catheter, and could not stand or walk unassisted. “The agent had threatened to abandon me in the desert if my family did not raise the Shs20million (roughly $6000 USD) to fund my air ticket,” she said. Meanwhile, the Kenyan agent told her family in Uganda that she had died, and that they needed to raise Shs100million ($30,000) to return her body. Eventually, her family managed to raise funds for her air ticket and she went back to Uganda earlier this year, where she underwent further operations at Mulago Referral hospital in Kampala. The Ugandan government banned domestic worker recruitment to Saudi Arabia in January 2016, after several reports of abuse and exploitation. Recently, Wilson Muruli Mukasa, the Ugandan minister of Gender, Labor and Social Development visited the kingdom in a move that is anticipated to lift the ban. The Uganda Hotels and Allied Workers Union last week wrote an open letter to the Minister of Gender, Labor and Social Development, urging the ministry not to lift the ban on the recruitment of migrant workers to Saudi Arabia until all concerns of abuse and exploitation are meaningfully addressed. 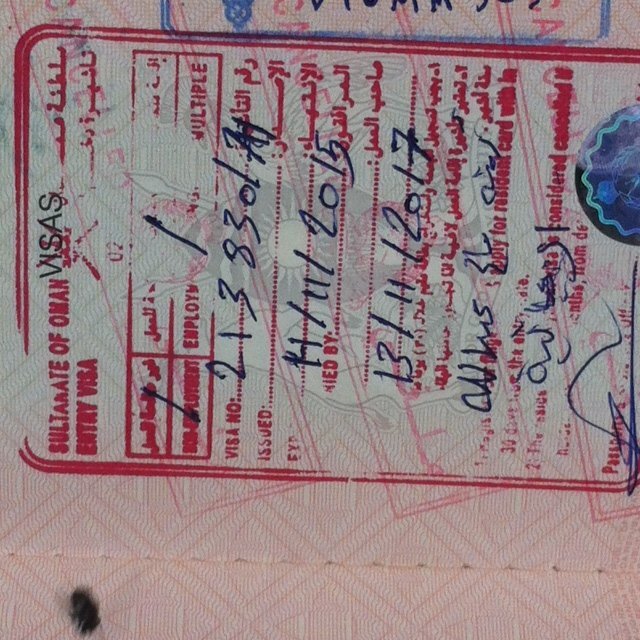 Ugandan journalist Yasin Kakande had lived in the UAE for 10 years before being forced to leave.